FAMOUS SWISS AMERICANS. America is a nation of immigrants each having brought unique experiences and perspectives from their homelands. Many have made significant contributions to the development of the U.S., and new immigrants continue to do so today. 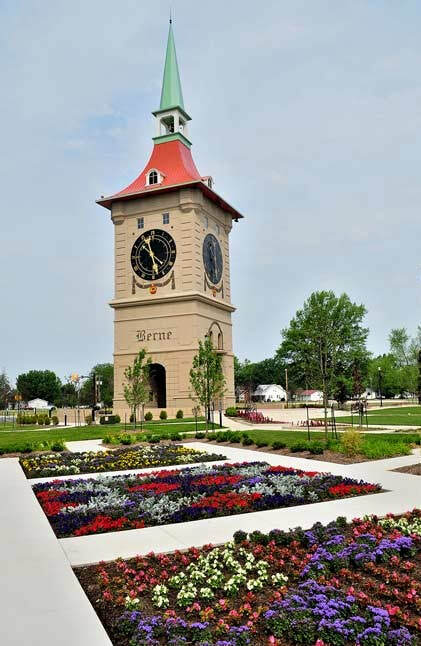 In our “Spotlight” on Berne, Indiana, we talked about the Swiss Mennonites & Amish. In this “Spotlight” we’ll introduce you to some Swiss who have played an important role in the history, in the arts, & folklore of the United States. Some you will recognize. Others we hope will surprise you. Click here for a peek. MOUNTAIN PASSES. In our spotlight on the Canton of Uri we mentioned that a visit to Switzerland would not be complete without a 3-Pass drive over the Susten, Furka, & Grimsel mountain passes. James Bond fans will remember the chase in “Goldfinger” over the Furka Pass. You’ll probably want to cross the passes in a more leisurely manner. Whether you drive, hike, cycle or motorcycle over the passes you’re in for a thrill and a wonderful experience. Do keep in mind that these passes are usually only open from May to October. This month we’ll take you there and we’ll take a look at other famous Swiss passes in future spotlights. Click here for a closer look. Genève. A couple of years ago in our spotlight on the “République et Canton de Genève”, we told you about the annual Escalade celebration & the role of Mère Royaume. We’ll take a closer look at the City of Calvin. He would still recognize Geneva’s old town, but would not approve how it has evolved into a truly international city with a unique flair unlike any other in Switzerland. Its citizens frequently challenge their Swiss-German compatriots. They are fiercely independent & proud of their heritage, not only as Swiss, but as citizens of the République et Canton de Genève. Click here to further explore the city. Lake of Brienz. One of the problems one faces when visiting the Bernese Oberland is that wherever you turn there is something new to see. There just never seems enough time to visit everything. As we have said on several occasions, Switzerland is like Disneyland on steroids. The Bernese Oberland is no exception. The classic view of the Jungfrau as seen from Interlaken is world-renowned. The town is of course located between two lakes, hence its name. Although visitors to Switzerland will be familiar & recognize the Lake of Thun, the Lake of Brienz is oft forgotten. Click here for a closer look. Berne, Indiana, is a typical mid-western town. Its claim to fame rests with its heritage as the home of the Swiss Amish who emigrated to the United States from Bern, Switzerland, to avoid persecution for their beliefs. The horse-drawn buggies clattering down country roads driven by men & women wearing traditional clothes dating back a couple of centuries, draw tourists from all over the world. The citizens of Berne’s pride in their heritage & their town have inspired them to erect a monument to symbolize their relationship with their town‘s namesake. A clock tower in the image of the famous Zytglogge. Click here to learn more. ADELBODEN. Ask any Swiss where to spend the perfect vacation and you’ll get a plethora of recommendations. Each claiming that their spot is the most beautiful in Switzerland. Actually, you can throw a dart at a Swiss map & you’ll probably land on a great spot to spend your summer or winter holidays. The Bernese Oberland is one of the most beautiful & varied areas of Switzerland. One of the villages favored by many Swiss, not well-known by Americans, is the village of Adelboden. On our way we’ll stop off in Spiez and we’ll also take some side trips. Click here for the visit. RAPPERSWIL. One of the many pleasures that await visitors to Switzerland are cruises on one of its many lakes. A day trip on one of Lake Zürich Navigation Company’s historic paddle steamers to Switzerland’s “City of Roses” is one of these treats. The city has an interesting history. During the French Revolution Rapperswil was for a few weeks the capital of the Canton of Linth. The territorial division was short-lived with the forming of the Canton of St Gallen. The city is the headquarters of the famous Knie Brothers Swiss National Circus and the home of the unique Polish Museum which is housed within the Rapperswil Castle. Click here to find out more. Swiss Cuisine & Fine Dining. Upon returning from extended overseas assignments most of us yearn for some “back-home comfort” food. It could be as simple as an In-N-Out burger, or as fancy as a prime rib dinner in a five-star restaurant. For many Swiss returning to their homeland an OLMA Bratwurst, a Saucisson Vaudois, or a Thurgauer Käseschnitte will address the former. For others, a fine evening out at a 2 or 3-star Michelin rated restaurant would better satisfy their yens. There is more to Swiss cuisine than fondue or raclette. Click here to explore some fine dining options and Swiss regional specialties. Seeland & the Lake of Bienne. The 3-Lakes Region of Switzerland was one of Jean-Jacques Rousseau’s favorite places. Seeland is Switzerland’s most important vegetable growing region & the region is recognized as the cradle of the Swiss watch-making industry. Kurt Schittli, our colleague from the Arizona Swiss Society, hails from the area. It’s a great place to visit in summer, and if you find yourself in Bienne in January or February, you can treat yourself to their traditional Treberwurst (sausage). These are cooked in the hot steam coming out from distilling vessels during the production of grape marc. Would you like to own a personalized hand-made Swiss watch? Click here to find out how. CANTON OF ZŰRICH. Mention Zürich and visitors will focus on the City of Zürich, one of the most important financial centers in the world & its banana-shaped lake, often neglecting visits to some of the canton’s many interesting spots. We featured the City of Zürich in a previous “Spotlight”. This time we’ll take you to the 6th largest city in Switzerland, introduce you to one of Switzerland’s best-known authors, and we will visit the home of one of the finest chocolatier in the world. Click here for a look. Lausanne to Villeneuve. There has always been friendly rivalry between the residents of Geneva with its numerous international organizations and of Lausanne, the Capital of the Canton of Vaud, with its famous museums, its university & dynamic night life. Both are beautiful cities with lots to offer. We have introduced you to some of the highlights of the canton in previous “Spotlights”, and now want to take you on a short trip along the Lake of Geneva from Lausanne to Villeneuve for visits to Switzerland’s most famous castle, the home of the world’s largest food & beverage company, and the resting place of one of Hollywood’s most famous movie stars of the silent-film era. Click here for a visit. THE CANTON OF GRISONS. We’re frequently asked how many languages are spoken in Switzerland. We’ll go down the list explaining that Schwyzerdütsch is different from German and when Romansh is mentioned we invariably get “What’s that?” as a reply. We point out that it is one of the three official languages spoken in the largest canton of Switzerland, the Grisons. In this spotlight we’ll visit Chur, the oldest city in Switzerland, and introduce you to the upper Engadine with its many well-known holiday destinations. Although winter sports have long been associated with Graubünden, as the canton is known in German, it’s a great destination for summer vacations as well. Click here for a visit. BELLINZONA. We have all done it! While driving somewhere with a destination in mind we bypass interesting places because we did not want to take the time to stop, thinking that we’ll do so some other time. One of the destinations often bypassed by travelers going south via the Gotthard is Bellinzona, the capital of the Canton of Ticino. Even fewer people stop off along the Leventina or Blenio Valleys to visit some of the neat places & villages of the region. With the recent opening of the Gotthard Base Tunnel which comes out at Bodio, we fear that even fewer travelers will be inclined to visit the region. We hope that this quick visit to Bellinzona & the upper Ticino will entice you to go. Click here for a look. La Gruyère. Picture yourself sitting at a table in the middle of winter in a chalet high up in the Swiss pre-Alps ready to dip a piece of bread into a boiling pot of cheese fondue. Follow the meal with a digestive and a chocolate truffle or two. It doesn’t get much better than that! Some will argue that one should use Emmentaler cheese for your fondue. I would argue that the best fondue is made with half Gruyère & half Vacherin the Fribourg. We will visit the Gruyère region for a tour of its famous village & castle, introduce you to the Armaillis of Fribourg, and take you for a visit to the factory of Switzerland’s oldest brand of Swiss chocolates still in existence today. Click here for the culinary tour. The Canton of Valais. For many, the Matterhorn and Switzerland are synonymous. For those people who have visited this bi-lingual canton, it's the 300 days of sunshine a year, its 5000 miles of marked hiking trails, its majestic mountain ranges of 13,000 ft high peaks, its vineyards, as well as its summer & winter resorts that draw them back year after year. The Valais, Wallis in German, is the home of the legendary Saint Bernard dogs. The upper Valais is the birthplace of one of the most significant waterway of Europe - The Rhone River. Click here for an introduction to the canton. BASEL LAND. Switzerland is renowned for its Alps which attract thousands of visitors from all over the world each year. Not as well known, yet beautiful as well, is the chain of mountains separating Switzerland from France. The Jura Mountains stretch from Geneva to Basel Land. The Canton has a rich history dating back to Roman times. Many traditions & festivals have been carried forth from the medieval period and are celebrated to this day. The “Chienbäse” in Liestal is one of the most interesting. John Augustus Sutter who attempted to establish a “New Helvetia” in California, claimed Rünenberg in Basel Land as his home town. Click here for a visit to “Baselbiet”. ​CANTON OF SCHWYZ. Located in the heart of Switzerland, Schwyz is one of the founding cantons. It is rich in beauty and history. It is the home of the Victorinox Company, the manufacturer of the world-renowned “Swiss Army Knives”. The canton’s capital is the site of the Museum of the Swiss Charters of the Confederation, and for aficionados of fine spirits we’ll visit the Swiss Cherry trail. Kirsch is to the Swiss, what Whisky is to the Scots, Cognac is to the French and Linie Aquavit is to the Norwegians. St. Nicholas visits Schwyz on December 5th, not on the 25th. Click here to find out where. LUCERNE. The City of Lucerne with its iconic wooden covered bridge is for many synonymous with Switzerland. Located on an arm of the “Vierwaldstättersee” (Lake of four forest Cantons), it is the starting point for may organized tours of Switzerland. The Canton of Lucerne joined the early Swiss Confederation in 1332. In addition to its rich and interesting history, Lucerne offers many delightful spots for year-round holidays. In our spotlight we’ll tell you about the Swiss version of “Radio Free Europe”, we’ll introduce you to one of Switzerland’s most famous heroes, and tell you about a holiday destination for the rich & famous. Click here to learn more about the Canton of Lucerne. St. Gallen. Mention St. Gallen to a Swiss and they’ll undoubtedly tell you about the magnificent Baroque Abbey Cathedral & its Abbey Library. They will possibly tell you that the City of St. Gallen has a “Red Square” and that you can visit Heidi Land from there. Looking at a map of the canton, you’ll see that it has access to three large Swiss lakes: Constance, Zürich & Wallen. Geographically it surrounds the Cantons of Appenzell-Innerrhoden & Ausserrhoden and borders Germany, Austria, Lichtenstein as well as the Cantons of Graubünden, Glarus, Schwyz, Zürich & Thurgau. The Canton of St. Gallen is a lovely and interesting corner of northeastern Switzerland. Click here for a visit. Glarus. The flag of Glarus is easily recognizable in its depiction of Saint Fridolin, the Irish missionary who is credited for bringing Christianity to Glarus in the 6th century. The canton joined the Swiss Confederation in 1352. Glarus along with Appenzell is one of the few places where one can experience the original form of Swiss direct democracy. 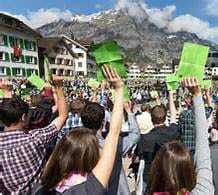 On the first Sunday in May eligible voters meet in Glarus’ town square in an open-air assembly (Landsgemeinde) to vote for representatives & cantonal issues. Voting is done by the raising of hands. Although the Canton of Glarus is a bit off the beaten track, it truly is worth a visit. Click here for a brief introduction. SOLOTHURN. Contrary to popular beliefs, storks might not really deliver babies, but they do perch in their nests on high roofs in a small Solothurn village. For many, 7 is a lucky number; for others, 13 will bring bad luck. Find out why 11 is so important in Solothurn. The capital of Solothurn was founded during the reign of the Roman Emperor Tiberius. Today it’s known as Solothurn, then Salodurum. It has a lot of history. Rolex watches nor Lindt chocolates are associated with Solothurn, but one of the world’s finest manufacturer of shoes is. Did you know that you don’t have to go to Peru to go trekking with llamas or alpacas? Click here to find out why. Lake of Thun. Many consider Interlaken to be the gateway to the Bernese Oberland. Located between two lakes as its name implies, it is indeed a great spot to start your explorations of this beautiful Swiss region. As a Bernese I find that Thun and its lake is a better choice; hence, I consider it to be the entrance. I suggest that you spend a couple of days in the capital City of Bern, then take a short train ride to Thun, check out the city, do some shopping, then jump on a paddle wheel ship for a tour of the lake. Click here for a visit. Canton of Uri. Located in the heart of the country, Uri is the birthplace of Switzerland where in 1291 the Cantons of Uri, Schwyz and Unterwalden swore allegiance to each other to repel the Habsburgs. It is the home of Switzerland’s national hero and the longest tunnel in the world. Uri is located on the southern fjord-like arm of the Lake of Lucerne, more commonly known in Switzerland as the Vierwaldtättersee or Lac des Quatre-Cantons (Lake of Four Forest Cantons). It’s a beautiful canton ideal for hiking, bicycling and simply enjoying the scenery. Click here for a visit. Canton of Jura. Not to be confused with the delightful single malt whiskies from the Isle of Jura, the Canton of Jura nestled in the Jura mountains gained its independence from Bern in 1979 to become the 26th Canton of the Swiss Confederation. The Canton is sandwiched-in between France and the Canton of Bern to which it belonged since right after the Napoleonic Wars. For a long time this region was cut-off from the other cantons, hence developed a unique culture. Jura is known for its watchmaking, the oldest cheese in the Swiss Confederation, and the home of the Freiberger (Franches-Montagnes) Swiss horse breed. Click here for a visit. AARGAU. Few people realize that Aarau, the capital of the canton of Aargau, was for a brief moment in history also Switzerland’s capital and the home of the first Houses of Parliament. It’s a charming city known as “The City of Beautiful Gables”. Aargau has a rich history going back to Roman times and offers visitors the opportunity to stroll through many intact old towns dating back to the 1600 & 1700s. We’ll visit spas along the Rhine River, introduce you to a couple of castles and take you to the largest brewery in Switzerland. Click here for a visit. ​UNTERWALDEN. We have often heard the remark that Switzerland is a lot like Disneyland - lots of things to see and do in a relatively small place. If you have been there you know that every time you turn around there is something new to experience. Switzerland is no exception. This month we will visit one of the “Forest Cantons” located in central Switzerland- a canton rich in history. 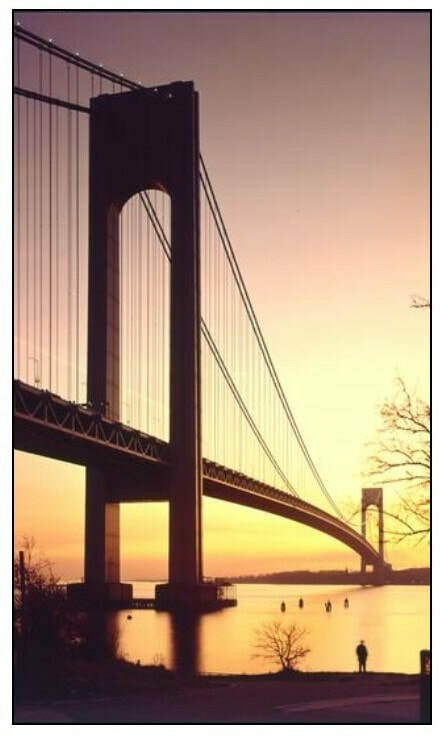 In our past “Spotlights” we’ve taken you on boat trips, and we’ve introduced you to great hiking trails & bicycle paths. This time we’ll go riding in one of the newest cable cars in the heart of Switzerland. Click here for a peek. THURGAU. If you are a cyclist, like to hike, enjoy sailing or inline-skating, or just soak up beautiful scenery, then Switzerland is the ideal place to visit. One of the areas that immediately comes to mind is the Canton of Thurgau on the Lake of Constance or Bodensee as German speakers call it. Located in eastern Switzerland, Thurgau offers miles and miles of well-maintained walking and cycling paths. Needless to say, the strong attraction of this region is the Lake of Constance and Untersee which offer a great variety of water sports. The Canton is easily accessible by car, bus, train, and boat. Click here for a visit. Unique Swiss Sports- You’ll find passionate soccer fans all over the world and the U.S. is no exception, although I do recognize that American football, basketball, & baseball are still generally in the forefront. 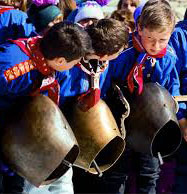 Many in Switzerland claim that Jass is the national sport. I agree, but there are other sports even more interesting than this ubiquitous card came. Whip cracking which is associated with “Chlauschlöpfe” and white turf horseracing where thoroughbreds pull skiers over a frozen lake are just a couple examples. Click here to find out more. ​The City State of Basel, one of the smallest Swiss Cantons- it’s only 14 square miles in size- is located at the heart of the tri-national metropolitan area made up of Switzerland, France and Germany. The city is separated into two districts by the Rhine River which makes a sharp elbow here as it turns toward the North Sea separating France and Germany on its way. Basel is the embarkation point for Rhine River cruises, so take an extra couple of days to visit this beautiful city with its rich history, beautiful “old-town” and museums to address every interest imaginable. Click here for a look at some of its attractions. The City of Zürich. In our rush to get from point A to point B, we often miss out on opportunities to see and experience neat things. We’re so focused on the destination that we sometimes forget that the journey is what makes it worthwhile. Most of us have landed at Kloten on our visits to Switzerland, yet, I wager that few of us have taken the time to visit the city on the Limmat. Zürich is the birthplace of Gottfried Keller, one of Switzerland’s greatest writers, and the resting place of James Joyce, one of the most influential writers of the early 20th century. Click here for a look. The Republic & Canton of Geneva. One of the many memorable sights of Geneva is the Jet d’Eau, that giant fountain shooting its waters 140 meters above western Europe’s largest lake. The other significant landmark is St. Peter’s Cathedral which dominates the Old Town of Geneva. Geneva is the home of the European headquarters of the United Nations and more than 200 international organizations. December 12th is celebrated in Geneva each year. Click here to find out why. ﻿The Republic & Canton of Ticino. Polenta cooked on an outdoor fire or in a fireplace is truly a magnificent dish. For many, this and the fact that Italian is spoken there is the only thing they know about the Ticino, or Tessin as the French & Germans call it. Located on the south side of the Swiss Alps, this beautiful canton has lots to offer. Lugano is known for its waterfront. Locarno attracts visitors from all over the world to its summer concerts & its international film festival. Ascona on the Lago Maggiore is not only a beautiful little city, but is a great place to catch the ferry to the Isole di Brissago. And Bellinzona with its majestic Castelgrande medieval castle tops the list of neat places to visit in the Ticino. Click here for some interesting things to do. The Canton of Vaud. The Chateau de Chillion is a well-recognized island-castle located on the lake of Geneva, and even if you are not a jazz fan, you probably will have heard of the annual Montreux Jazz Festival. Many people, however, don’t realize that James Bond’s pursuit of Auric Goldfinger’s Rolls Royce took place on the hillsides along the vineyards overlooking the Lake of Geneva in the Canton of Vaud. Oh yes, lest I forget, natives of Vaud will be quick to point out that the lake should really be called Lac Léman. Click here and join us in exploring a few of the Canton’s sights. La Chaux-de-Fonds, Neuchâtel, a well-recognized and renowned center of the watchmaking industry & a showpiece of Art nouveau, is located but a few miles from the French border in the Jura mountains. The Canton of Neuchâtel entered the Swiss Confederation as a principality in 1814, then after a peaceful revolution in 1848 it established a republic. A UNESCO World Heritage Site, La Chaux-de-Fonds is proud to claim a number of famous sons. Click here to find out who they are. We wish to thank François Robert for his inputs about his hometown. ​Canton of Schaffhausen. Paris has the Eiffel Tower, Pisa its Leaning Tower, and Arizona the Grand Canyon. The Canton of Schaffhausen known for its Rhine Falls has a couple of the prettiest old towns in Switzerland. Walking down the traffic-free Old Town of Schaffhausen you’ll see guild and merchant houses, many with richly painted facades & beautifully carved doorways, dating back to the Gothic and Baroque times. We’ve been told that you’ll find over 170 oriel bay windows on these fine buildings. You can’t miss the fortress of Munot which overlooks the City of Schaffhausen. It the can be seen from miles away. Click here to join us for a visit to the Rhine Falls, the largest waterfalls in Europe per volume. ​City of Fribourg. You probably know what rösti are, but do you know where you’ll find the “Rösti Ditch”? Yes, it’s the name occasionally given to the Saane River, or Sarine if you prefer, which divides the German-speaking and the French-speaking parts of Switzerland. The river flows through the capital of the Canton of Fribourg, and as you might have guessed, it’s a bilingual city. The river surrounds the city on three sides just as the River Aare does in Bern. The City of Fribourg like Bern has preserved its medieval center. It’s a beautiful City. Click here for a peek. Lower Engadine. Most people associate the Grisons (Graubünden in German & Grischun in Romansch) with St Moritz & Pontresina renowned as winter playgrounds for the rich & famous. Others recognize Davos where the annual World Economic Forum is held. There is another side of Graubünden where many Swiss spend their winter and summer holidays - The Lower Engadin. We’ll introduce you to Selina Chönz the author of a children’s picture book almost as famous as Heidi and take you to the village which inspired the story. If you’re looking to spend some time in the Swiss Alps, a bit off the beaten track where all the tourists hang out, click here and take a look. ​ZUG. Located halfway between Zürich and Lucerne, the Canton of Zug is often overlooked as a neat place to spend a weekend or, for those people pressed for time, it’s a perfect destination for a day trip. Zug is a small Canton about ¾ the size of Marana. Some people might know Zug for its extremely favorable tax structure which attracts multi-nationals and the very affluent from all over the world. You’d never know it from your visit. One of the many pleasures of travelling is discovering local traditions & customs and whenever possible participate in them. We’ll tell you about a couple in this spotlight and show you around for things to do. Click here for the visit. Val de Bagnes. If asked about favorite Swiss dishes, most people will select fondue, some might even say raclette. Whenever I hear the latter I’m prompted to tell them about its origin and that the real name of the cheese is Bagnes. Then of course I have to tell them about royalty in Switzerland and the crowning of the “Queen of Queens”. The Val de Bagnes, a great summer & winter vacation destination, is located in the Canton of Valais. Although some of its towns like Verbier have “ritzy” reputations, there are many lesser-known villages offering affordable accommodations. Click here to find out more.